Utah’s men hosted Colorado Mesa for a dual meet on Thursday, October 11th. The Utes won every event, exhibitioning (not for points) all but their fastest performer in each event. Utah’s premiere sprinter, sophomore Rodolfo Moreira, put up some solid times in the sprint freestyle events. 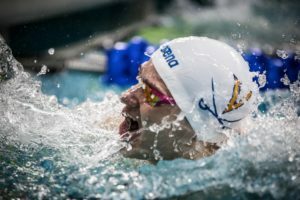 He first anchored the 200 medley relay in 19.72, capping off a 1:30.30 victory for the Utah team, which also included Daniel McArthur, Andrew Britton, and Colten Montgomery. Moreira then swam the 50 free as his only individual event, touching first by nearly a second with a 20.61. He then led off the 400 free relay with a 45.16, marking the fastest split in the field, and a time which would have won the 100 individually. 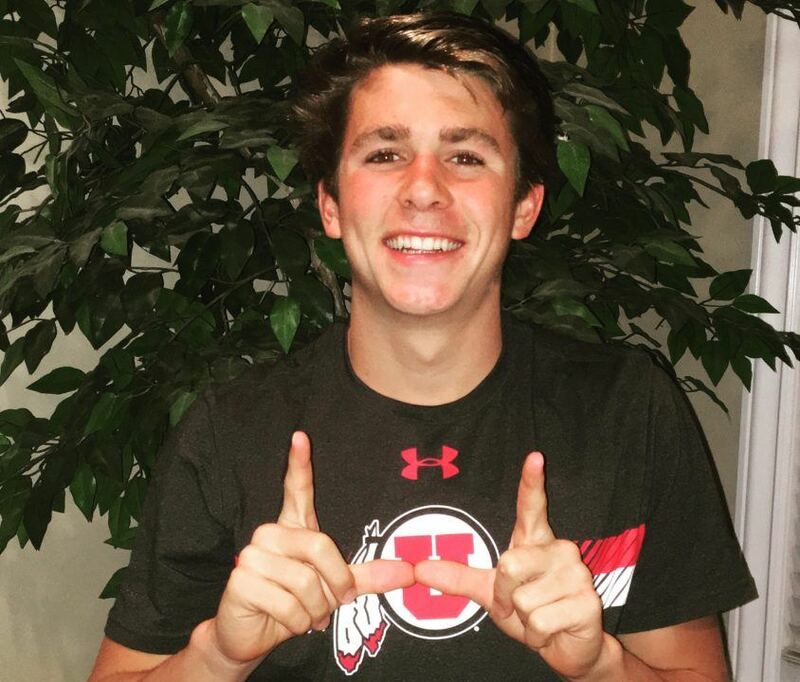 Utah freshman Andrew Britton posted a pair of quick breaststroke times. First, in the 200 medley relay, Britton split a 24.99, marking the fastest split in the field. Britton then ran away with the 100 breast, finishing a full 2 seconds ahead of the field, with a final time of 56.50. Britton boasts a personal best of 54.32, which he swam in May of this year. Ethan Dillard (junior) picked up a pair of individual wins, coming in the 200 IM and 100 back. Dillard won the 200 IM with a 1:53.14, putting up the fastest splits in the field in every stroke except freestyle. He split 24.07, 29.04, 32.09, and 27.94 respectively. In the 100 back, Dillard posted a 50,95 to touch out freshman teammate David Fridlander (51.14). 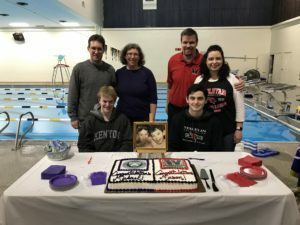 SALT LAKE CITY – In its home opener, Utah Men’s Swimming won every event and picked up the first win of the season, defeating Colorado Mesa, 111-81. The Utes dominated from the start, winning the 200 medley relay in 1:30.30 behind the swims of Daniel McArthur, Andrew Britton, Colten Montgomery and Rodolfo Moreira. Britton, Moreira and Montgomery also rolled to wins in individual events. Ethan Dillard was the only multi-event winner this evening, taking the 100 back in 50.95 and the 200 IM in 1:53.14. Freshman Nick Becker cruised to a win in the 1000 free (9:39.13), while Rahiti De Vos (46.70, 100 free) and Matteo Sogne (4:41.73, 500 free) were other winners for the Utes. Utah is back in action on Friday, November 2 at UNLV. SALT LAKE CITY, UTAH— Matthew Barrett, Justin Fell and Torsten Rau each recorded a pair of runner-up finishes to lead the Colorado Mesa University men’s swimming squad in a Thursday afternoon dual at Division I Utah in the Ute Natatorium. 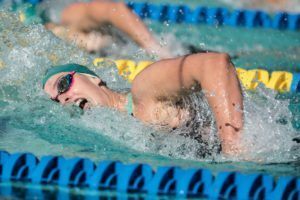 Morgan Bean, Eric Berg and Lane Austin also tallied second place finishes as the Mavericks held their own before eventually succumbing to the Utes, 111-81 in the 11-event, swimming-only format. After Berg, Barrett, Bean and Lane swam the 200-yard medley relay in one minute, 36.72 seconds to place third in the 200-yard medley relay, Rau posted a time of 9:56.17 in the 1000 free to take over the Rocky Mountain Athletic Conference lead in a fourth different event. The sophomore out of Sandhausen, Germany was named as the RMAC Swimmer of the Week on Wednesday. He later finished the 500 free in in 4:53.17 ahead of Logan Ellis (4:58.71) and Jacob Dexter (5:05.32). Ellis (10:19.83) and Dexter (10:25.25) also placed third and fourth in the 1000 free. Meanwhile, Fell posted a time of 1:45.30 to take second in the 200 free, just off his RMAC-leading and altitude-adjusted mark of 1:43.45. Jackson Wuthrich (1:47.75) and Jake Gremaud (1:47.87) were third and fourth, respectively, for the Mavs. Austin then finished the 50 free in 22.41 seconds ahead of Parker Giles (22.48) and Berg (22.72) before Barrett placed second in the 200 IM, touching in 2:01.21 ahead of Jake Simmons (2:01.68). In the 100 fly, Bean finished in 52.93 while Simmons touched in 54.31. Fell finished the 100 free in 48.04 while Noah Beaver placed third in 48.57. Berg then finished the 100 back in 54.27, just ahead of Austin (54.32). Barrett, a freshman who was selected for the Preseason All-RMAC team, then finished the 100 breast in 1:02.04 while Jacob West(1:02.62) and Travis Newland (1:02.76) were just behind. Fell, Beaver, Gremaud and Bean then finished the 400 free relay in 3:13.87 to place third. The Mavericks will have a short turn around taking on another Division I opponent in BYU on Friday in Provo. That dual is slated for a 3 p.m. start.